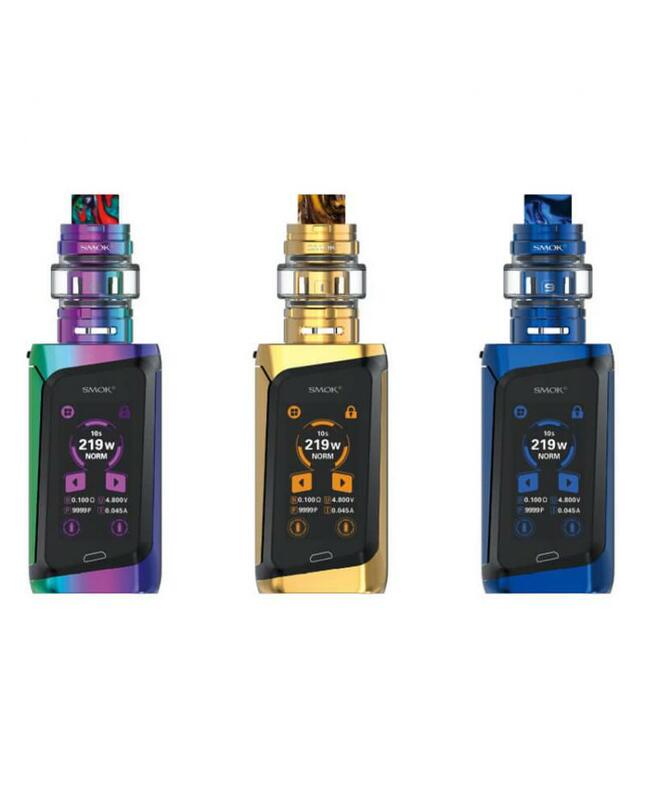 The Smok Morph 219, which is the world's first mod designed with input keyboard, the perfect combination of classic style and modern trend, the Smok 219W Mod has a glossy finish and at the back it is inlaid with exquisite IML resin, the Morph Mod built-in the newest IQ-S chipset, which allow the firing speed low to 0.001S, it powered by dual high-rate 18650 batteries and max output 219watts, vapers can choose the various working modes, it supports the NI, TI, SS heating elements and TCR function under TC mode, vapers also can choose the MyMode working mode, you can set 4 sets of parameters, after finishing the setting, you can save it. the Smoktech Morph adopts the new 1.9Inch touch screen, which is responsive, with the brand new user interface, most of the operations can be finished by a simple touch. there is a big lateral fire key on the left side, much easier to operate than right side ones, there also one small secondary key to lock and unlock the device easily. the Morph Mod with classic push-to-open battery door, allow vapers to install and replace the batteries quickly. vapers can charge the batteries by connecting to a wall adapter or the power bank via the micro USB port, the multiple functions to avoid potential risks, the Smok Box Mod with innovative passcode setting design, which can prevent other people from using the device and protect your pets and children. by the way, the firmware is upgradable. The diameter of the TF sub ohm tank is 30mm, which pre-installed the bulb glass tank and allow it can hold 6ml e-juice. it comes with the colorful resin drip tips, which made of healthy material, sleek and beautiful colors, the new Smok Tank with the higher base than the old tanks, which can offer larger room for the airflow, the Smok TF Sub Ohm Tank with convenient top refill design, vapers can inject your favorite e-liquid inside quickly, no leaking worry, there are dual large airflow adjustable slots on the base, you can adjust the air flow freely. two new coil heads available for the new TF tanks, the 0.25ohm BF-Mesh and 0.5ohm Ceramic coil heads, the mesh coils with the large heating area and longer lifespan will produce the best flavor. and the ceramic coil will send you the intense flavor.